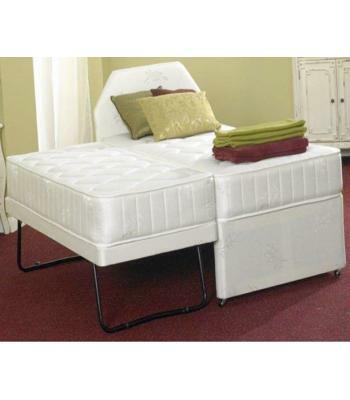 Guest Beds are ideal for that unexpected visitor or sleepovers. We are confident your guests will be more than happy to be a visitor to your home. 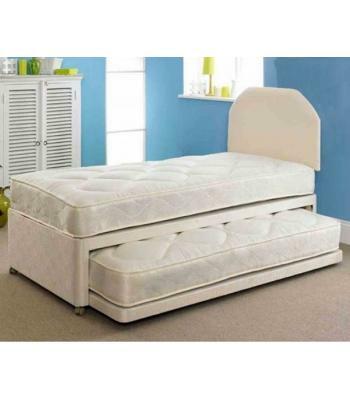 Buy online from our range of Cheap Wooden Guest Beds and Metal Guest Beds. Not only can you pull out the under bed to make one large bed, you can also split the beds up and move the under bed into another room. When not in use you simply tuck the trundle under-bed away. These types of bed solutions are also useful if you are limited for space, as they can be used on a night time and then simply folded away. Leaving more space in the room when the bed is not in use. Take a look to see what guest bed options are available at Interiors 2 Suit U.